Highland's mega-quarry is smack dab in the middle of farmland the whole country depends on for food production. If built, it could poison clean ground water that feeds the lakes and rivers many Canadians use for drinking water. The quarry would require over seven thousand trucks to transport limestone each and every day, upping carbon emissions and requiring new roads to handle the exploding traffic -- further destroying the natural habitat of hundreds of species of animals. The city-sized pit would scar the land long after the mining was finished. 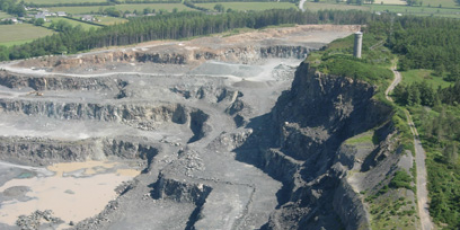 But, residents and environmental activists are working hard to oppose the quarry's license -- even the Environment Minister has called for further assessments. Ontario's Liberal government faces a tough re-election fight in October and Liberal Minister Linda Jeffrey is concerned about public opinion in these key months before votes are cast. A national call will put pressure on Jeffrey and her party to stand up for Canada's environment, its farmers and the fresh water many Canadians depend on for survival. Let's bring the voice of all Canadians to Ontario's Minister of Natural Resources and force her to kill Highland's plan for environmental destruction. Sign the petition and then forward widely.